If you’re interested in trying CBD, you’re not alone. With the myriad of health benefits this non-psychoactive cannabinoid contains, it seems like everyone can benefit from CBD in one way or another. Children with epilepsy. Grandparents with arthritis pain. Women going through menopause or suffering from period pain. To say that CBD is the hottest health and wellness trend to ever hit the market is putting it mildly. CBD has taken the world by storm and shows no signs of slowing down. In fact, a report published in 2017 found that the CBD market is growing at 55% a year and will be a billion-dollar market by 2020. Needless to say, the rapidly rising popularity of CBD has led to a huge increase in the number of CBD products that are now available. By some estimates there are now “hundreds, if not thousands” of CBD companies that can now be found on the internet. Searching online for CBD can become a bit overwhelming to say the least. We’re here to make the process of buying CBD online a little bit easier. In this article you’ll find everything you need to know before you buy CBD online so you can make sure you’re choosing the perfect product to fit your needs. Is CBD right for you? If you’ve done your research, you’re probably well-aware that this popular non-psychoactive cannabinoid is packed full of health benefits and covers a wide-range of conditions. Ask yourself why you’re interested in CBD. Are you experiencing chronic pain? Stressed out? Anxious? Need to balance out your blood sugar levels? Reduce inflammation? Want to quit smoking cigarettes? CBD has the potential to help with all of this…and much, much more. It’s known to significantly reduce seizures. Studies have shown it can inhibit the growth of cancer cells. There is also evidence it can be used as a potential beneficial treatment for opioid abuse. Unless you’re in perfect health, it’s likely CBD will be a welcomed addition to your wellness routine. Here’s what you need to know before making your first purchase. When scoping out CBD online you’ll likely to come across both “full-spectrum CBD” and “CBD isolate” products. These “types” of CBD have to do with how it was prepared. CBD isolate is pure CBD that has been isolated from all other compounds in the cannabis plant. Full-spectrum CBD contains CBD as well as all other compounds in the plant. If both products are CBD, what makes them different? CBD isolate is just that. Isolated CBD. Full-spectrum CBD, on the other hand, contains CBD and all the other cannabinoids, terpenes, and nutrients that are found in the cannabis plant. While CBD isolate does have its benefits, many experts maintain that in order to harness all the benefits contains that full-spectrum is the way to go. A 2015 study even found full-spectrum CBD superior to “purified” CBD when taken for inflammatory conditions. On the other hand, when taking CBD isolate, there is no chance of THC accidently making its way into the bloodstream. Isolate can be especially beneficial for people who are drug tested or who live in states where THC is strictly prohibited. A 2014 study also demonstrated that CBD isolate can be beneficial when applied topically to skin conditions like acne and eczema, acting as an anti-inflammatory and reducing sebum production. It isn’t completely understood however, if isolated CBD is indeed “better” for acne than full-spectrum CBD. Even though they’re both sourced from hemp, there’s a big difference between CBD hemp oil and hemp seed oil. Hemp seed oil, which can be found online and in health food stores almost anywhere, doesn’t contain any CBD at all. 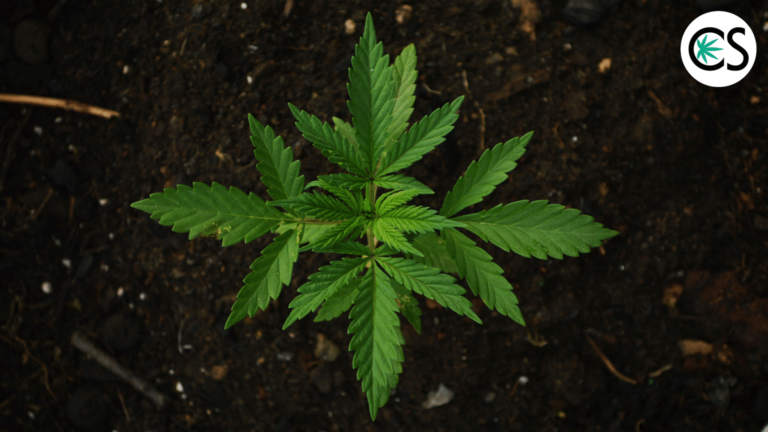 CBD hemp oil and hemp seed oil both come from cannabis, but hemp seed oil is extracted from the seeds of the plant and CBD hemp oil is extracted from the flowers and leaves of the plant. It’s in the flowers and leaves that the sticky resin containing over 400 compounds (60 of which are cannabinoids) are found. Hemp seed oil does contain healthy nutritional fats, but it doesn’t contain any of the beneficial compounds or cannabinoids found in CBD hemp oil. Before you buy CBD online, it’s important to ensure you’re purchasing CBD hemp oil and not just hemp seed oil. There’s more than one way to harness the benefits of CBD. Understanding different methods of consumption or application will help you on your quest to determine just what products are right for you. If you’re looking for the fastest method of delivery vaping CBD is the way to go. Inhaling CBD with a vape pen is a great choice for consumers who want the quickest relief possible. Vaping CBD works so fast because it is absorbed directly into the bloodstream and has shown to be particularly effective for individuals trying to quit smoking, as well as for people suffering from stress and anxiety. The effects of vaping CBD usually last 2-3 hours. The second quickest method of delivery is taking CBD orally in the form of a tincture. This is an excellent method of administration for people who don’t enjoy vaping who desire quick relief. Drops and sublingual sprays are absorbed quickly into the bloodstream and typically provide relief in 5-15 minutes. CBD capsules make taking CBD oil as easy as popping a vitamin. CBD capsules are pre-dosed CBD encapsulated in an easily digested “soft gel.” The extracted CBD in CBD capsules is typically mixed with a carrier oil such as hemp, olive, or coconut oil. CBD capsules have one of the slowest methods of delivery, meaning that it could take anywhere from 20 minutes to 2 hours to feel the effects. CBD edibles come in several different forms from gummies and chocolate bars to cookies, infused coffee, mints and more. CBD edibles take the longest to work (think about 2 hours), but the effects tend to be long lasting and provide extended relief. Edibles are a great choice for those who don’t need immediate relief but are still interested in the benefits of CBD. Topicals are CBD-infused lotions, creams, salves, and other skin care products that are awesome for soothing sore muscles and providing relief for localized pain. CBD topicals have also shown to be effective for soothing skin conditions such as acne and eczema. When applied topically CBD doesn’t make it to the bloodstream. Instead, it is absorbed into the skin and provides relief where it was applied. When it comes down to it, there is no one CBD product that’s right for everyone. CBD affects everyone in a different way and what works for one person doesn’t always work for the next. Finding the best CBD for your needs is all about trying out different products until you discover what works best for your personally. Start out with a smaller dose and increase it until you feel the desired effects. Try different methods of applications until you come across a product that you love. Also keep in mind that for just as many legit companies, there’s an equal number of imposters. Don’t get duped into buying CBD that isn’t all it’s cracked up to be. When buying CBD oil online, look for established companies that offer high-grade, quality hemp products that have been sustainably sourced and third-party tested for quality. For a list of companies we personally recommend, click here. Can you suggest a starting dosage for the CBD tincture? Im hoping you can help. I have a 16 yr old son that has severe C.P., his doctor gave us the go ahead to use CBD oil, but couldn’t really tell me anything more. We live in Oklahoma so CBD is new to us, I have no idea where to start as far as dosage goes. Do you have any suggestions and/or input?